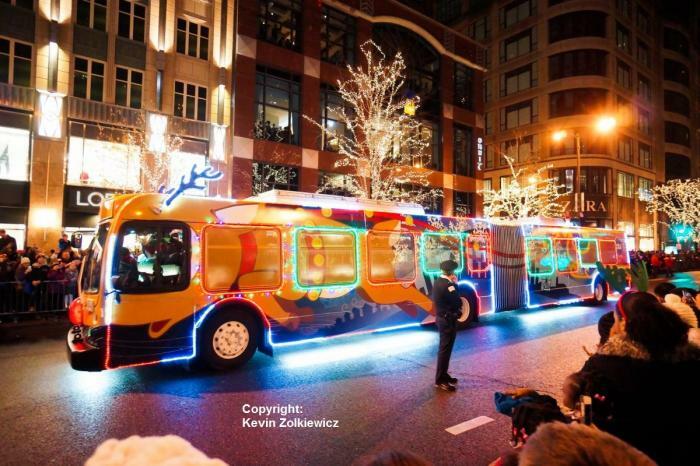 We're just under 8 weeks until Christmas now..... we should be hearing about assignments of the 2015 Holiday Train sometime close to Thanksgiving, but after the debut of the Holiday Bus last year, does anyone think the CTA will bring it back for this Holiday Season? If so, I'd like to see it expanded to other routes as well(I never got the chance to take it in as it was just on select routes). What do you think about it's chances of returning this year and the thought of it being spread on other routes too. The announcements about the Holiday Train is usually around the 2nd week of November, if the Holiday Bus should return, it should be announced around the same time or the Monday after Thanksgiving for it's seasonal debut in early December. Hopefully, the CTA will get creative with the Holiday Train this year since for the last 2 years, they have basically used the same decal patterns without the legendary "SC Express" electronic display boards on the front ends of the 6 car train set (here's hoping that display board makes the cut). The crew at the Skokie Shops should j be putting the finishing touches on the train! From what I observed last year, the bus was pretty popular and it didn't get wrecked or vandalized as was getting speculated would happened. So I don't see it not making a return. 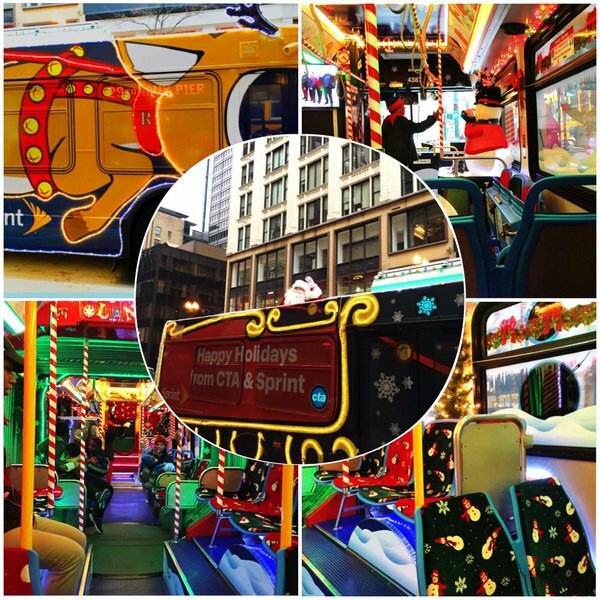 I am appreciative of all the hard work the crew at CTA goes to make these festive vehicles. But there are people who don't give a crap about it and will purposely damage/vandalize equipment just to make a statement, perhaps. Look at what happened to the farewell 2400's 8-car set when it was being ran on the Brown Line. Two cars were removed for emergency graffiti removal after being tagged despite the nice job the CTA staff did to restore the cars to their 1976 liveries. Well it didn't happen with the bus, so why look for issues that aren't there? I posed this very same question last year when you posed that mindset, and it indeed turned out the way I suspected which is more often than not people are more well behaved than we as a whole tend to give credit for despite society's bad apples. I think the Holiday bus will be back and will become a regular thing just like the Santa Express. I think they were experimenting with it last year to see how it would do. It seemed to pass the test. 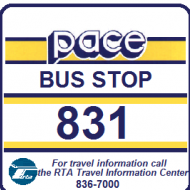 One way we could find out is just look for #4336 on bustracker as they might use the same bus because it may have been altered in some way. If it's in service then maybe not. They need something for the parades anyway and something for the xmas shoppers downtown to look forward to seeing. It adds to your Chicago Xmas experience. I don't think they would go through all the extra stuff they did last year and not intend to use the bus again. What would they do with all the xmas stuff they bought. Throw it out? No sighting of #4336 yet this week, so the chances of a holiday bus is likely still. Uh Oh #4336 is on the #147 today. Well it may not take long to get the bus transformed into the Holiday Bus. Holiday wrap that looks like Santa's sleigh with reindeer, lights, interior decorations/lights, seat in back for Santa, Alcoa rims that are painted white(probably an extra set sitting in South Shops). The whole thing probably takes a week to do if staff work on the bus for 2-3 hours/day. #4336(or whatever bus is designated this year's Holiday Bus) will be removed from service probably the week of 11/21. They probably need more than a week. They have a whole bus of seat inserts to replace. Unless it's a different bus this year but you would think #4336 was modified in some way. Well outside of lighting and the obvious repainting, the only major thing that looked to be modified was removing the rear seats for Santa and decorations. The other decorations beyond that seemed to be minor stuff that doesn't take major modifications. Either way we should find out Saturday what's up since that's when the big holiday lights parade is scheduled this year and when the holiday bus debuted last year. It needs a sponsor!! LOL!! I haven't seen it in service since the day i saw it on the 11/7, so maybe it is being worked on. Sprint will be sponsor of this year's bus and train. Officially now the "Sprint-CTA Holiday Bus" and "Sprint-CTA Holiday Train". Looks like you were right BH. However, you meant it as a joke apparently while CTA made the words true nonetheless. Starting out on the red line today huh?? I heard of the debut on the Red line on the news and thought man these guys have a death wish, thinking they were going to run it over Thanksgiving weekend there. If so they would have had to make arrangements for these guys to come to America. Maybe they get a few free Sprint phones for their effort!! I'm sure someone will confirm it with a physical sighting, but that's a logical conclusion based on Bustracker, which I assume is your source of this info. Yeah Bus Tracker. I don't think they got the candy cane icon working yet. They have the candy cane icon if you go to the Holiday Bus page and click on the Holiday Bus Tracker link, which shows only the Holiday Bus. Regular bus tracker just shows a normal bus icon. Now it makes sense.. thank you.. Someone on Twitter posted a picture of the holiday bus. It is indeed of bus 4387. 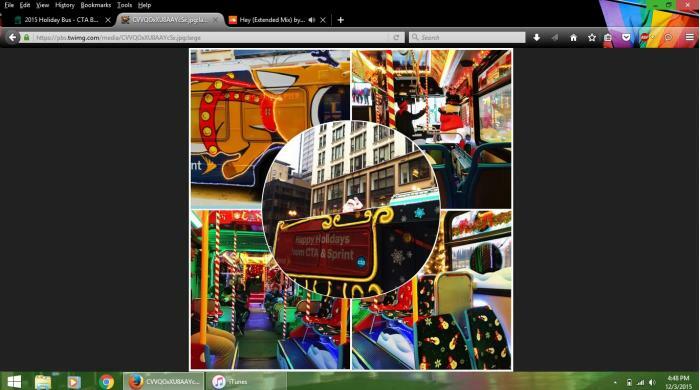 I did a simple Twitter search of CTA Holiday Bus. Link to source? Or embed tweet? Nice surprise from the 2015 Sprint-cta Holiday Bus, which features a Brougham body style (think Cadillac Fleetwood Brougham) and decal displays that features animated light displays! Nice surprise from the 2015 Sprint-cta Holiday Bus, which features a Brougham (think Cadillac Fleetwood Brougham) and decal displays that features animated light displays! Rudolph must be taking roids.